Last summer we went to visit my brother and his family. While there we decided to try something new. We went cherry picking. 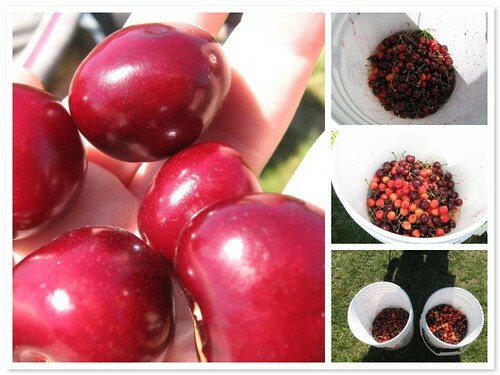 We had an amazing time wandering the fields and picking 22 pounds of cherries.Yes, you read that correctly, just check out the buckets of cherries below. So hard to believe that all of the kids have grown up so much. 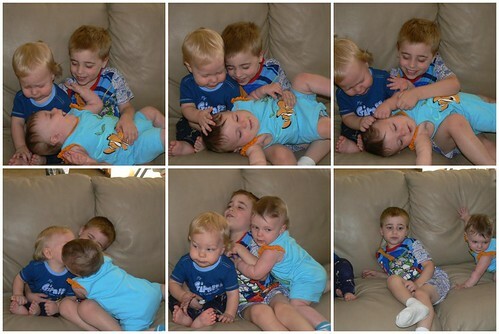 Memo to the kiddos –> stop growing up so quickly! Is that the cherry place that you were telling me about? When will the crop be ready? I’ll have to give them a call. So close to where we live!